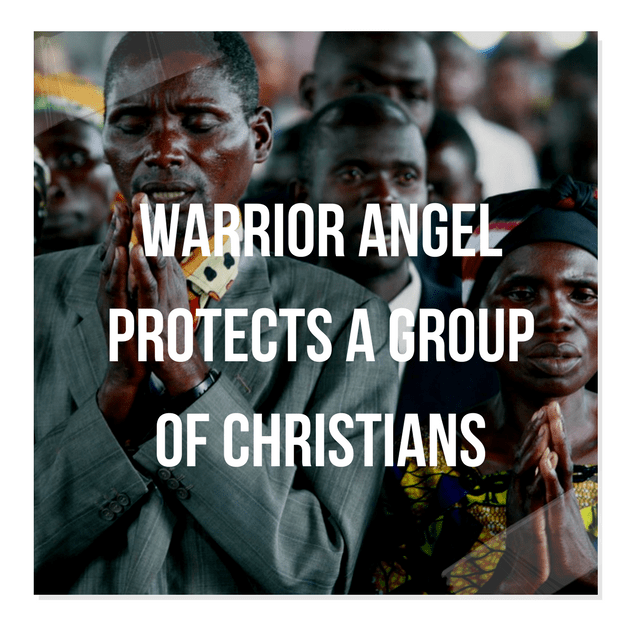 A “huge warrior angel” protect a group of Christians from Muslim extremists who entered their place of worship shouting “Allahu Akbar,” determined to kill them. The Christians, all converts from Islam, were worshiping at a church in Central Africa when a mob of Muslims, angered by the recent evangelistic efforts of the believers, stormed the church, according to a report from Bibles for Mideast, an underground Christian ministry that distributes Bibles and conducts evangelism in Asia, South Africa and the Middle East. The mob, brandishing swords and iron bars, shouted “Allahu Akbar” – “Allah is Great” – while destroying the church and ripping off the church roof. Then, they turned to the Christians, determined to kill them for their faith. One man stabbed the pastor’s neck with a large sword. Suddenly, Pastor Musthafa, the leader of the church, felt an invisible person – who he later identified as a “huge warrior angel” – pull him away from the blade. The attacker, unable to regain his composure or aim, ended up injuring himself with his own sword. Furious, the attackers began beating believers.